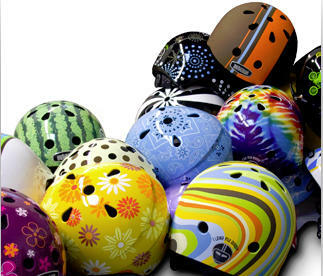 Century Cycles Blog: Nutcase Helmets: Love Your Brain for 20% Less! Available in Small/Medium for kids and some adults, and Large/Extra-Large for other adults. A Spin Dial and four different interchangeable foam fitting liners are included with every helmet for a customized fit. The revolutionary Nutcase Magnetic Buckle operates with one hand for pinch-free use! All are now 20% OFF for our Summer Clearance Sale! A full selection of sizes and colors are in stock in all three of our stores (Medina, Peninsula, and Rocky River). Stop by or check out www.centurycycles.com/get/nutcase to check them out!